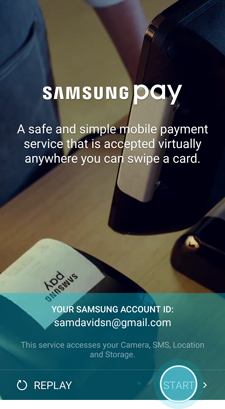 Samsung Pay is the new, simple and secure way to pay with your Samsung Galaxy device. 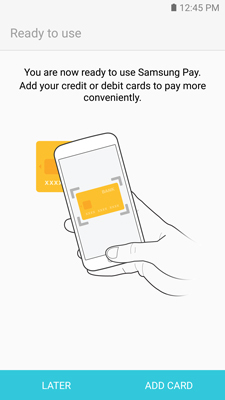 Accepted almost anywhere you can swipe or tap your card. 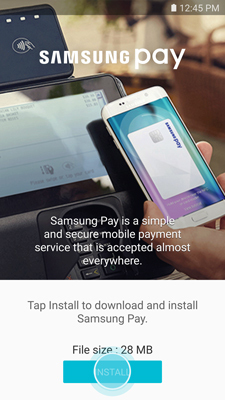 On compatible devices, a Samsung Pay shortcut will be preloaded, allowing you to download and install the application. 3. Touch INSTALL to download the necessary files. 4. If there are updates to the built-in application, touch INSTALL. 5. 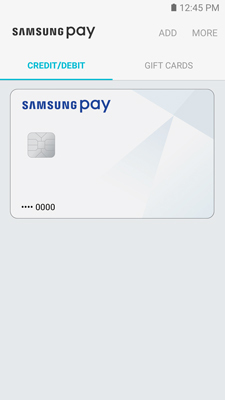 Touch OPEN to start using Samsung Pay. 3. 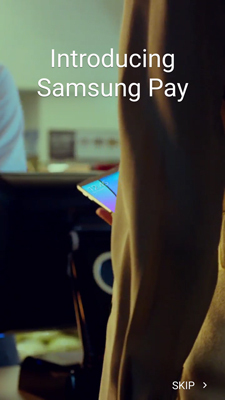 The first time you open Samsung Pay, a short introduction video will play. 4. 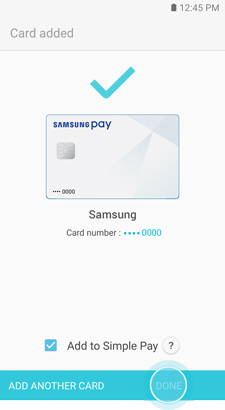 Your Samsung account will be automatically linked to Samsung Pay. Touch START to continue. Note: If you have yet to sign in to your account, touch SIGN INand enter your email address and password information. 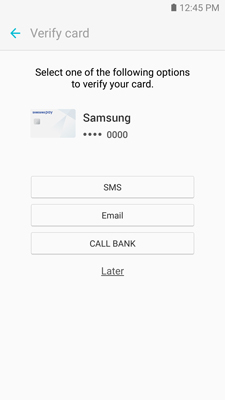 If you do not have an account, you can create a Samsung account on your device. 5. 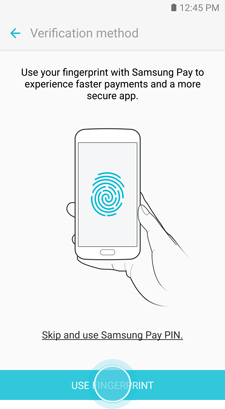 Touch USE FINGERPRINT to assign your fingerprint as the verification method. If you have not registered your fingerprint on the device, you will be given the chance to add a fingerprint. We will walk you through adding a fingerprint for the first time. 6. 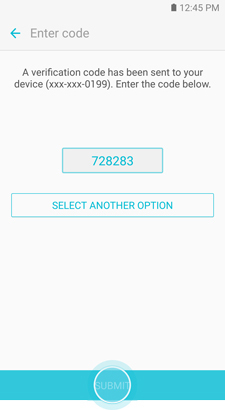 If you have a secure lock on your device other than a fingerprint, enter the password, PIN, or pattern. 7. 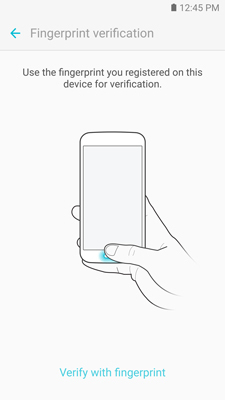 Place your finger on the Home key, and then lift it off once you feel a vibration. Repeat until you have reached 100%. To ensure your whole fingerprint is recorded, move your finger slightly each time you touch the key, fully covering the key with your finger. 8. Scan the fingerprint you just registered for verification. 9. 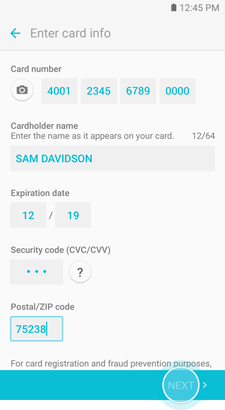 Create a Samsung Pay PIN for payment authentication and application protection. 10. 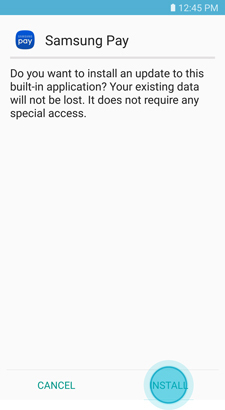 Re-enter the PIN to confirm. 11. 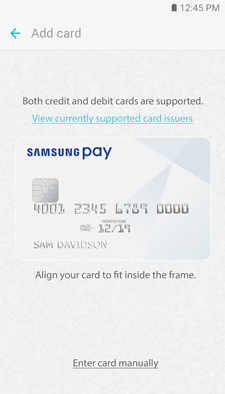 You are now ready to add your payment cards and use Samsung Pay. 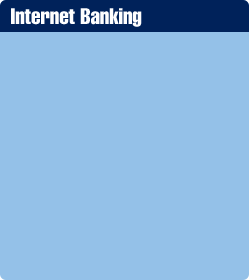 Steps may vary depending on the payment card and card issuer network. 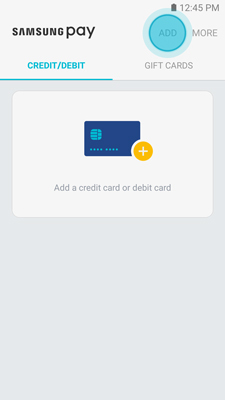 The credit or debit card must be a qualifying Visa®, MasterCard®, or American Express® card issued by one of the participating banks, such as the following: American Express, Citibank®, Bank of America®, U.S. Bank, and Synchrony Financial. 6. Review the terms and conditions, and then touch AGREE TO ALL. 7. 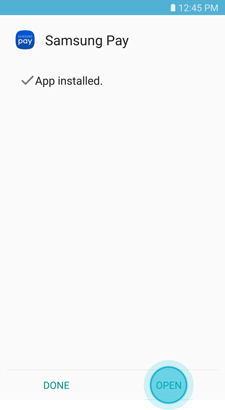 If necessary, select a method to authenticate your identity using a one-time password (OTP). 8. Enter the OTP and touch SUBMIT. 9. 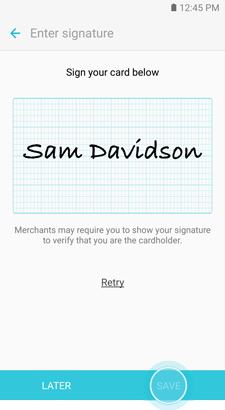 Use your finger or a stylus to enter your signature and touch SAVE.